I absolutely love being a Baker Ross Blogger. 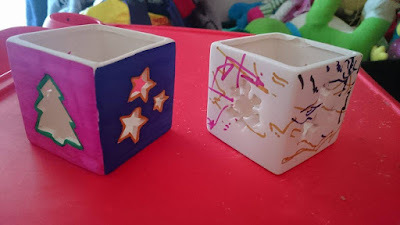 Since C became a big brother, doing crafts is one of those things that is just ours and we both really enjoy ourselves. 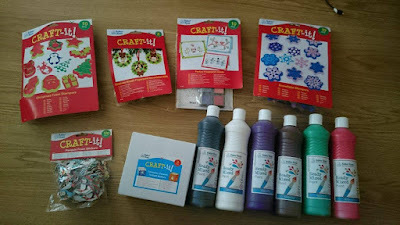 Baker Ross sent us a lovely big box filled with Christmas related crafts. 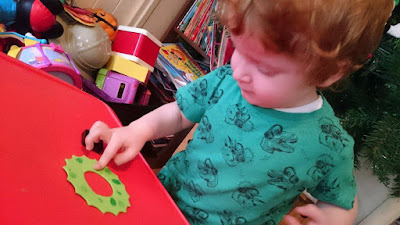 We started off with the wreaths and cards as fingerprint crafts (with the little stamps) were something that C had never done before. He did turn his nose up at the start but once I did it first he thought it was brilliant and didn't want to stop! The wreaths are super easy to make. The ink transfers well onto the foam and then all thats left to do is add stickers and a photo to it. Simple! They even come with ties so you can hang them on the tree or wall as decorations. I had to help him a little with the photo on the wreath so I think he preferred the card decorating as that was all him. He told me he wanted to give one to his daddy so I helped him write inside it. 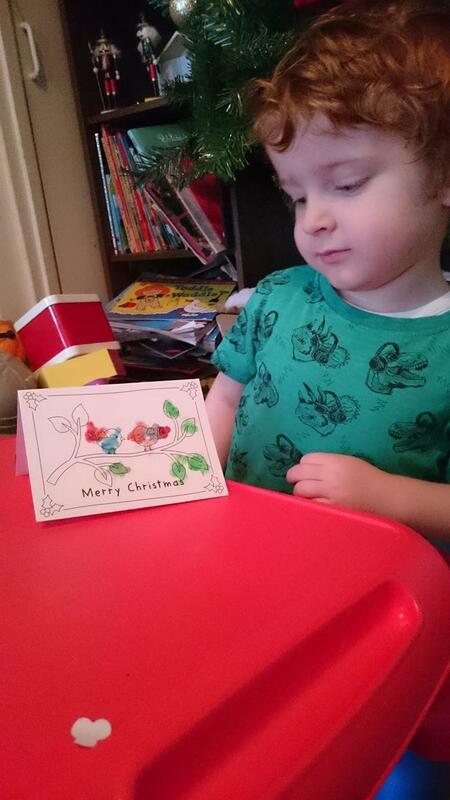 The cards come with envelopes so you can get the kids to decorate them and send them out to family members. 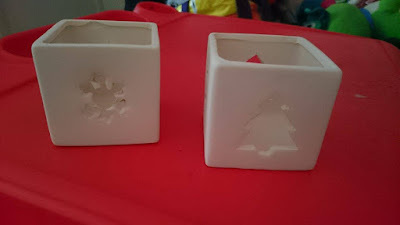 C was begging me to do his paint and stampers by this point so I took all the snowflakes and other Christmas stampers and laid them face up so he could choose what he wanted to use. 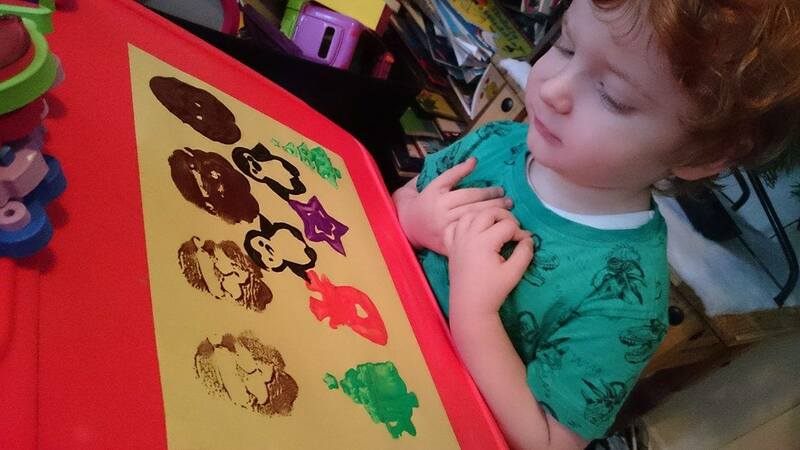 I created a makeshift palette out of cardboard for his different colours of paint. 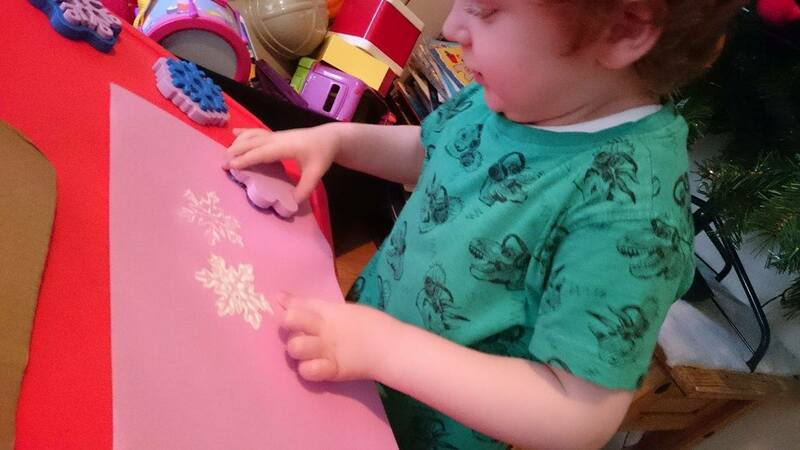 He traditionally chose white for his snowflakes but mixed up the colours when it came to the others. 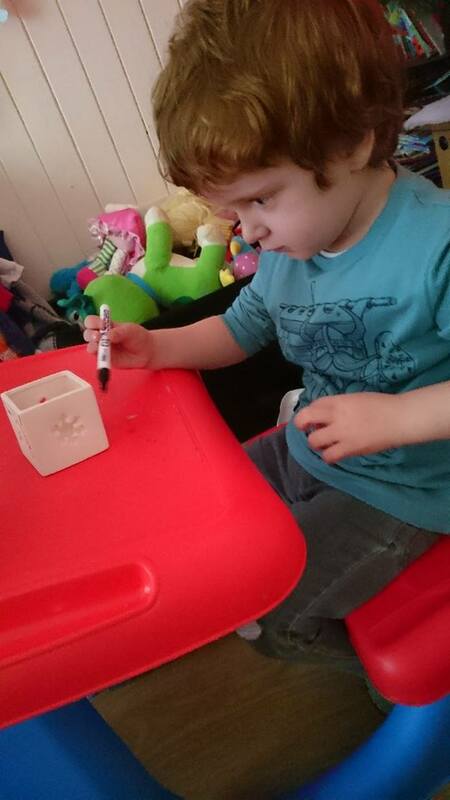 The paint didn't have a strong, overpowering smell so it's great for little ones. I did find that it was easier for me to put the paint on the stampers as C would end up putting too much on and the image would be gloopy and unrecognisable. I always write in my Baker Ross posts about how much C loves stickers. He told me that he wanted to make a neat line up of all the different styles included in the bag so I poured them out, separated them and let him choose. I was a little shocked at how many different characters there were. 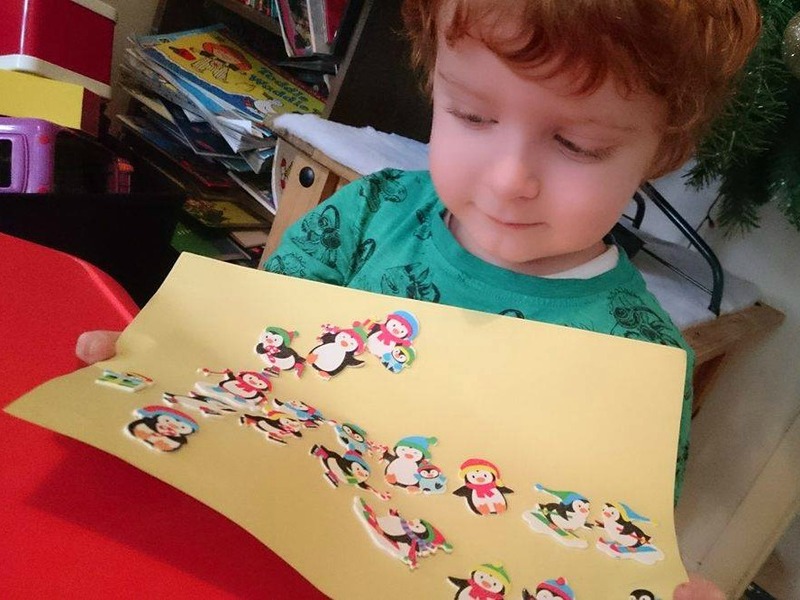 He was really proud of himself after sticking them all down! I did most of the work on the ceramic tealight holders. We received ceramic pens in a previous Baker Ross box so I dug them out of C's craft box and got to work on decorating. 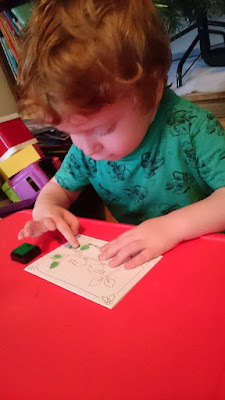 C liked having a little squiggle on them but he got a little bored after a while and just wanted to colour on something flat. I think we did a good job! C was impressed anyway. Baker Ross's selection of Christmas crafts are great for getting your little ones excited in the run up to Christmas. You can view the full range at the Baker Ross website and you can also give them a follow on Facebook, Twitter and Instagram. 1 comment on "Christmas Crafting with Baker Ross"